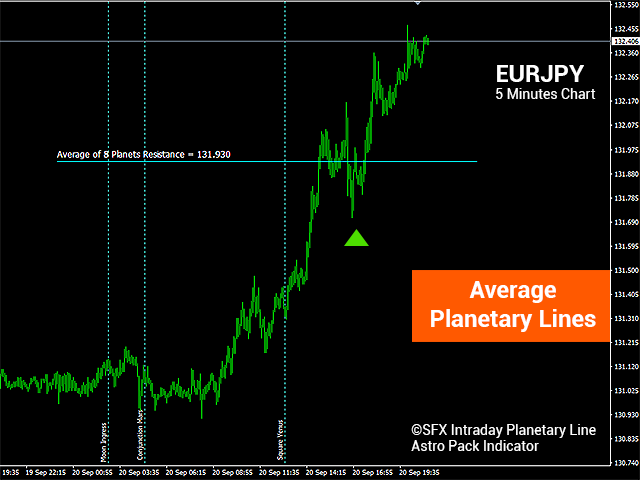 Indicator plots planetary lines without using any CSV file or any kind of data fetching from 3rd party software or Internet! 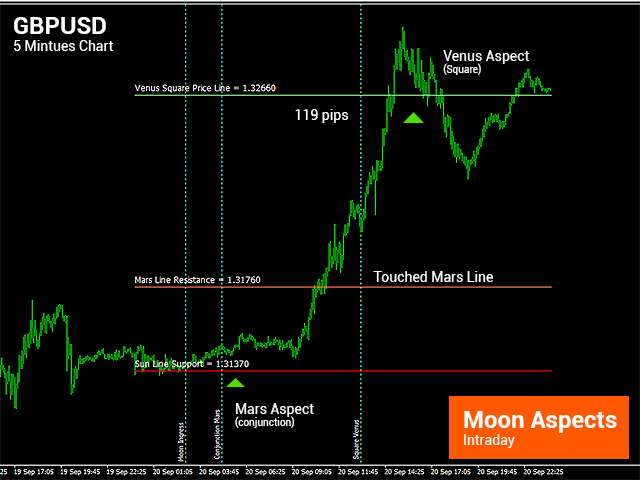 It has inbuilt astronomical calculation being the first of its kind in the MQL indicator history. Planet Degree might differ from 0.5-1.0 degrees than actual. NASA quality. Indicator plots planetary lines based on Custom-able Planetary Coordinates ( Geocentric | Heliocentric ) & Zodiac Method Tropical | Sidereal (Vedic). (Custom-able) scaling for plotting planetary lines. Indicator plots planetary lines for Sun, Moon, Mars, Mercury, Jupiter, Venus, Saturn, Uranus, Neptune, Pluto, North Lunar Node & South Lunar Node. Indicator plots average of 5 & 8 planets planetary lines. Indicator plots planetary aspect price lines with (custom-able) planets & (custom-able) aspects selection. Full Moon & New Moon detection. Dashboard data shows the daily trend for individual instruments along with effective planet name in Advance. Also the indicator per deg scale. 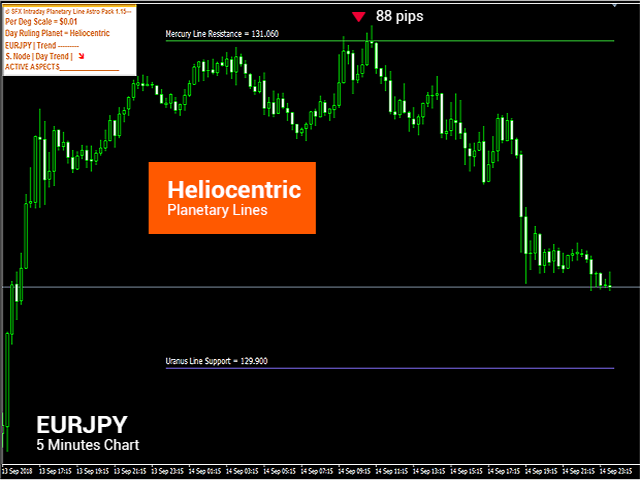 User can plot two same planetary line indicator on same chart with custom indicator name field. Price Alert with Email, Push messages. 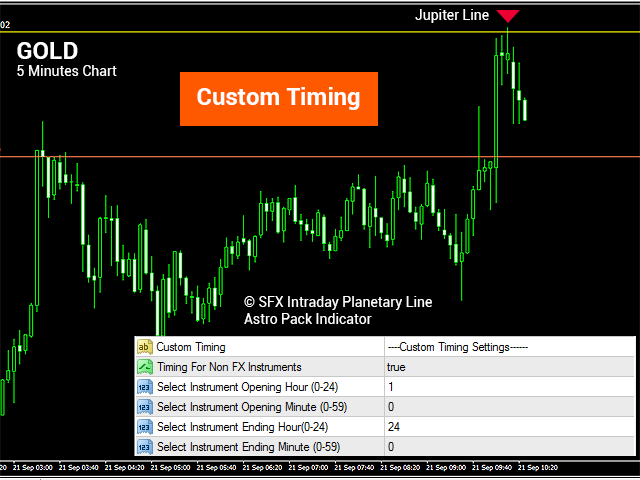 The indicator has custom timing option with which user can apply this indicator for the different trading session according to their choice. 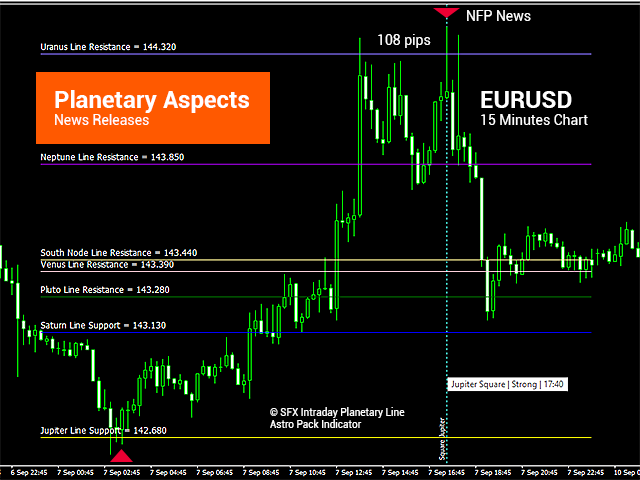 Instruments: All instruments including FX pairs, metals, and indices. Simply adjust the scale accordingly. History Bar (0 for current day) It is for backtesting past data on live chart. Note! 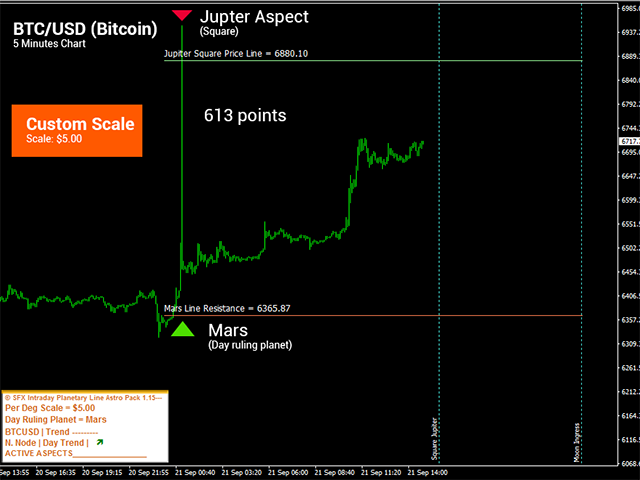 It shows all kind planetary lines price alert which is placed on the current chart. Select Individual Planets to show planetary lines. In History Bar default is 0 for current day but you can check past days market action with this indicator by changing the history bar value like 1, 2, 3 ... etc. in live market. Planetary sign attribute added, with polarity, zodiac sign characteristics. 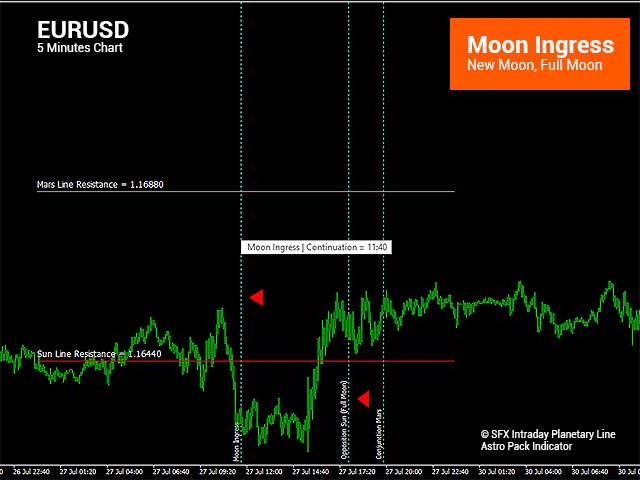 Multiple time frame trend added on text dashboard, text dashboard attribute improved. custom indicator name field for adding multiple indicators on the same chart. Arrow removed for better performance. 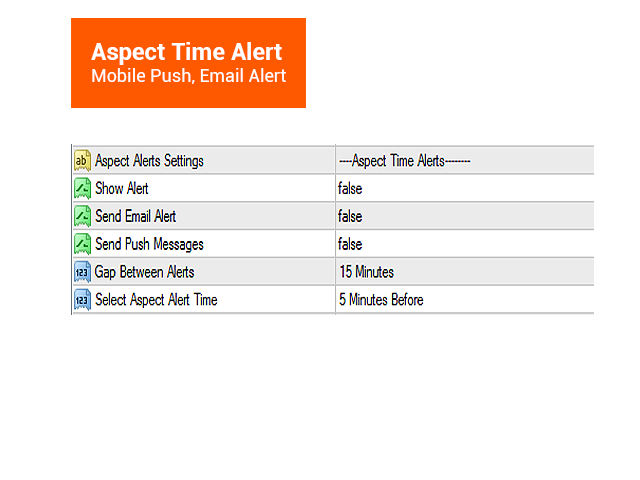 Alert improved with newly added features, push notification & email price alert. Added single option to either show all planetary lines or show nothing or choose custom planetary lines. Added new feature to move text dashboard section by X, Y axis position to anywhere in the chart. Added new extra aspect line section for the user to plot two aspect lines simultaneously. 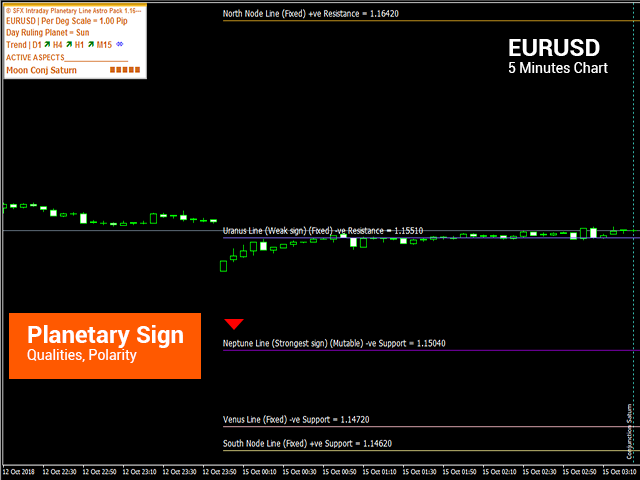 Re Engineered Simplified Version for user to understand trade signals. 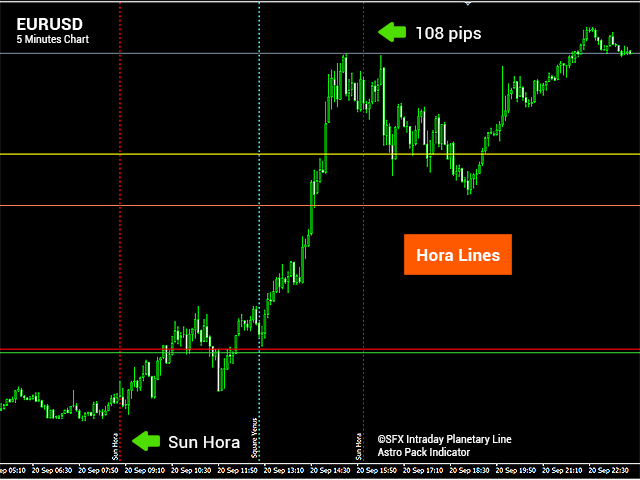 Now it forecast trend for individual pairs & marks entry points on chart with arrows. 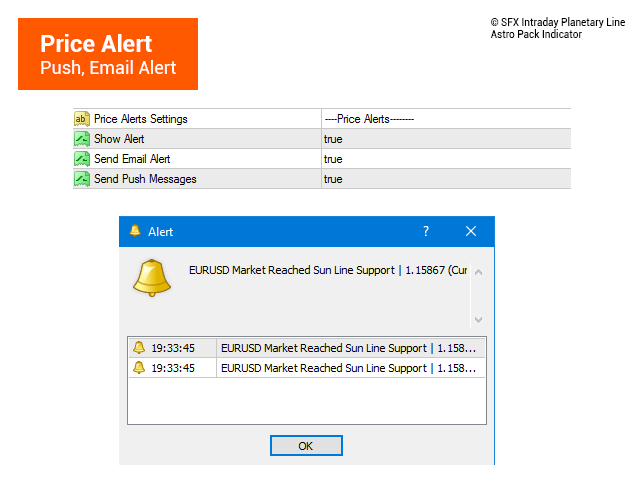 Alert added for market reaching any planetary levels. Shows All Active aspect Strengths. Two New Planetary Line added with North & South Lunar Nodes. Minor Bug fixed with hora lines & aspect table. Custom Timing for other instrument improved. Исправлена небольшая ошибка в таблице аспектов. All Aspect Table auto adjusted based with the data. Effective planet calculation improved. Now you can select scale for this type of calculation. New Feature Added: Now you can see other planets aspect table for the day. Bug got fixed for other instruments planet lines & Hora lines. Hora chart improved for other instruments. User input added for adding Future contract start time. Shows most effective planets for the pair. New Harmonic Degree added for any selected Planets.